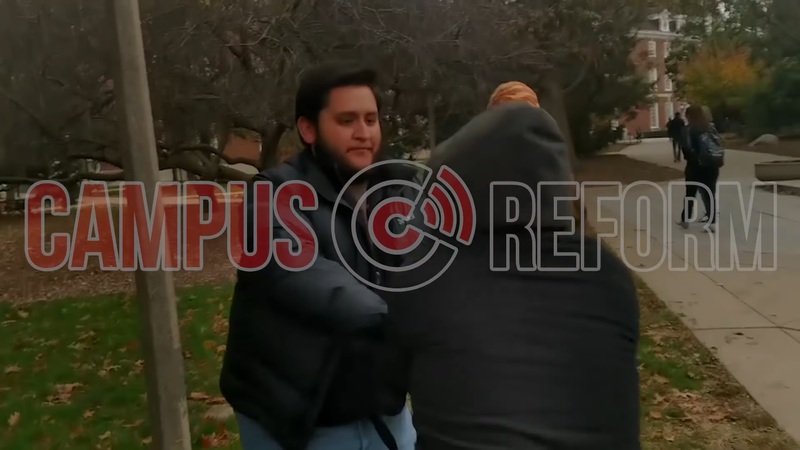 24 Nov, 2017 by	Margaret M.
Graduate instructor Tariq Khan has been arrested after video footage emerged of him assaulting two demonstrating students on the campus of the University of Illinois. An anti-Trump rally took place last Thursday and Khan allegedly took the phone of one of the pro-Trump students and threw it on the sidewalk. Dr. Tariq Khan, professor of Constructing Race In America and U.S. Gender History Since 1877 was also previously involved in both communistic and anarchistic organizations as well as mentoring socialists taking their undergrads at the school. In the video below, you can see that Khan was one of the anti-Trump speakers who encouraged students to “resist” Trump and “fight fascism.” Then, he turned his attention to audience members, some of whom are involved with Turning Point USA, a college conservative group. One of the targets was Joel Valdez of Turning Point USA who asked Khan if he had “anything better to do,” asking “Don’t you have kids?” where Professor Khan decided that this was a threat against his children. Okay, so the question for Valdez wasn’t necessarily too constructive. Not that Khan was being constructive or positive, but perhaps asking for more and more specific details on how to fight Trump until you reveal that Khan has no plan and just wants to cry for attention may have worked better in Valdez’s favor, but this is the point where the video starts. Khan gets into a little shoving fight with the two students, taking a swing at one of them. Last month we wrote that the University of Illinois was employing a math professor, Rochelle Gutierrez who told her students to be aware of “identity politics” in math, saying that math “operates as Whiteness,” because the people who get credit for developing mathematics and who are best suited to be a part of that community are “generally viewed as white.” She said that people who are not “viewed as mathematical” have a sense of inferiority and that she herself has “experienced microaggressions from participating in math classrooms.” Oh, and because of the Pythagorean Theorem, people assume that math was “largely developed by Greeks” and other whites. Missing: Her notice that nobody in either math or philosophy accepts that Pythagoras was the person who developed the Theorem named for him. Here’s the video of the incident. Khan has been arrested and given a court date for criminal damage to property with the value of the destroyed phone placed at $700.